So you're looking for a cold air intake for your Honda Civic. You've come to the right place. If you've browsed around our website, you've seen that we sell all of the major intake brands. We recommend the Injen Cold Air Intake for this vehicle over the other brands we carry without question. Injen is the best for this car... Its that simple! 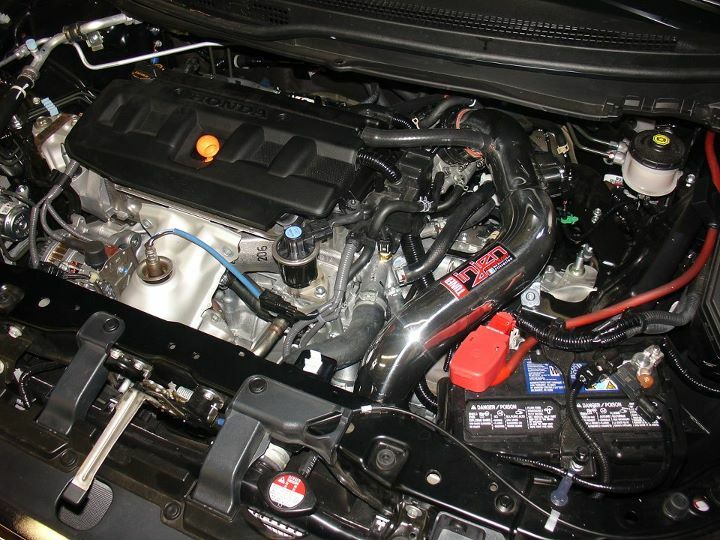 The Injen SP1571 SP Series cold air intake system for your 2012 Honda Civic 1.8 is the perfect upgrade to your vehicle. After removing your factory airbox, the Injen intake tube is directed directly behind the front bumper to acquire colder, direct air. The larger and cleanable Injen air filter then goes on the end of the intake tube. You wont ever have a check engine light because your mass air flow sensor bolts right up to the Injen intake on the Honda Civic. Injen dyno tuned this intake to ensure maximum horsepower and torque gains on your Civic while still maintaining proper air/fuel ratios. Depending on your driving habits, many users have also reported noticeable gains in fuel mileage, making the intake pay for itself over time! The part number for this item is either SP1571P or SP1571BLK (depending on which color you choose) and it fits: 2012-2015 Honda Civic 1.8 Models.